In many respects, the most fascinating aspect of “Cascadia” is the continuous argumentation over the definition of the term. Is “Cascadia” a geologically contoured bioregion, a cartographic convention, an incipient sociopolitical entity, a poetic trope, or a state of mind? Is the region primarily grounded in precolonial indigenous social and cultural dynamics and sensibilities? Or is principally organized by post-contact systems of production, labor, extraction and exchange? Can one legitimately speak of an emergent Cascadian aesthetic in fiction, poetry, music, architecture, and the visual arts? In its more expansive definitions, “Cascadia” extends from the Pacific coast to the Rocky Mountains, from southern Alaska to northern California. In other models, the region is conceived in terms of the energy cycles of major river systems, centered on the circulation of salmon from highland river sources to the ocean and back upstream. As the name suggests, “Cascadia” is intimately connected with water, especially water in motion. The mountain range from which the region takes its name was so termed due to the falling waters that flowed through and across it. Whatever the precise geographical boundaries of this complex zone,its cultures and livelihoods are centered on political and economic struggles over water --from well-watered Pacific coastal littorals to arid interiors, from glacial masses to agrarian valleys, from hamlets to metropoles. 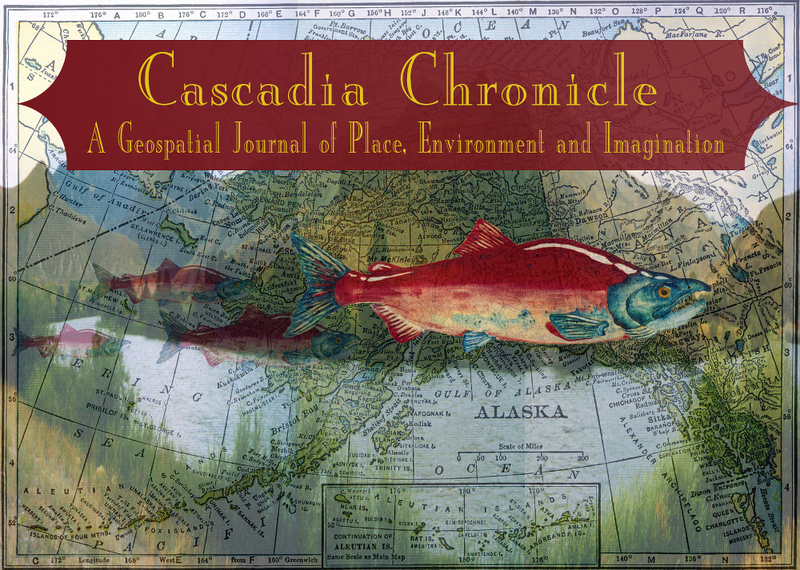 In this section, we invite a range of scholars, activists, writers, and artists to reflect on their definitions and perceptions of “Cascadia,” to join in an ever-evolving flow of voices. We also present a range of works of art and poetry that evoke in various ways the diversity and complexity of Cascadia, whatever it might mean.